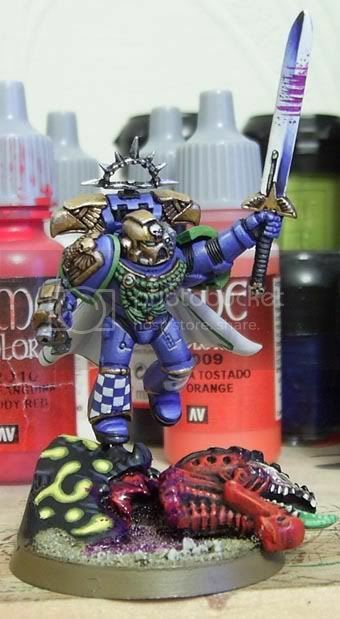 This brave commander leads by example, he can be seen here clearly cleaving the head off a carnifex from the kraken splinter fleet code named "dendrobates" and then leaping over the carcass of the unfortunate creature. Stunning work mate , I love the gold. 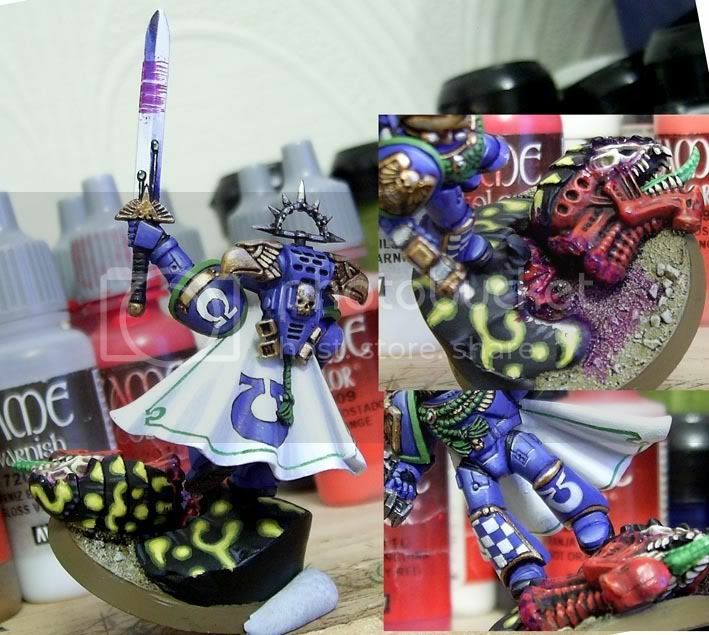 Simply amazing, some very nice freehands on their too. Gareth, U never fail to amaze me! Just plain amazing work!!! May be some heads strapped to a belt? But never the less Brilliant Work!!!!! Excellent. Another notch in the ol&#39; paintbrush, eh Gareth? I have really; really got to invest in some Vallejo paints and brushes, hmm... I wonder if they might sell them in my local art shop? I&#39;ve heard many wondrous things about the Vallejo stuff!